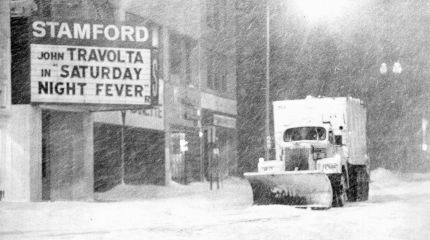 So, 35 years after the Blizzard of ’78 hit New England, we’re hunkering down for another Nor’Easter/Blizzard/Snowmaggedon. 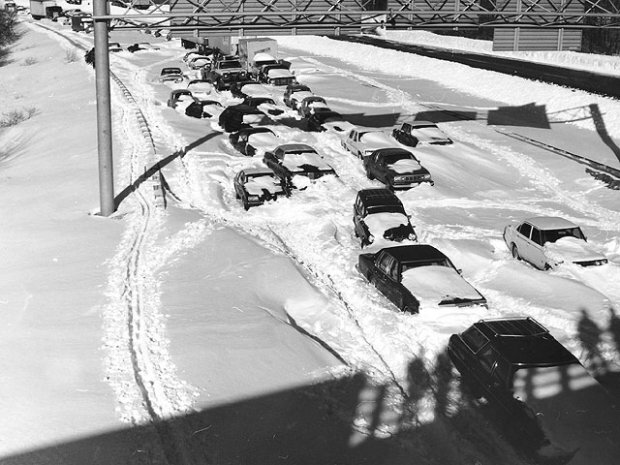 If you were in New England at that time, you likely remember how you spent the blizzard. Perhaps you were stuck in your car on Rte. 128 for days. Or in the Boston Garden after attending the Beanpot tournament. Perhaps you were looking for your car, wondering if you’d be waiting for Spring before you’d see it again. Or your street was under freezing water due to unprecedented tides. 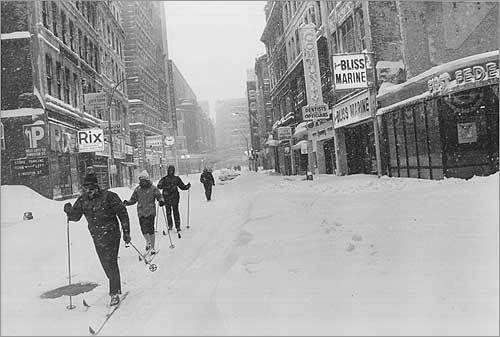 Or maybe you took advantage of traffic-less streets to get in a little skiing. One thing is for sure, we’ll never go hungry again! 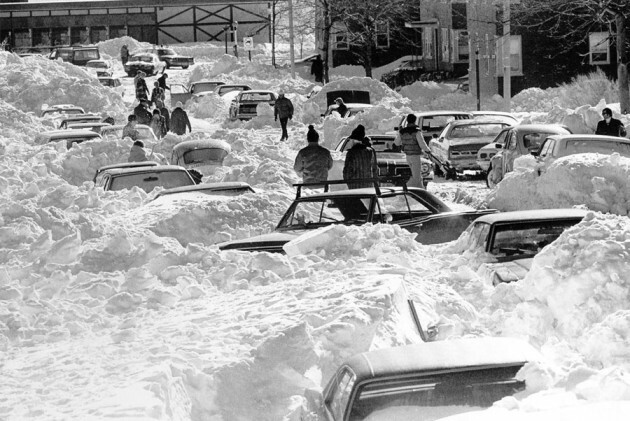 The onset of “Yankee Milk Fever” stems from this storm. When we hear bad weather is coming, we stock up on the basics, because you never know how many days you’ll be living on bread and milk! I was in high school and spent the days without electricity and heat at home with my parents, grandmother, our dog Tiny (a shorthair dachshund who did NOT like the cold) and the neighbor lady. We had an open floorplan house so my Dad had to tack blankets and plastic sheeting on all the door openings into the kitchen/family room to keep the heat from the fireplace in. 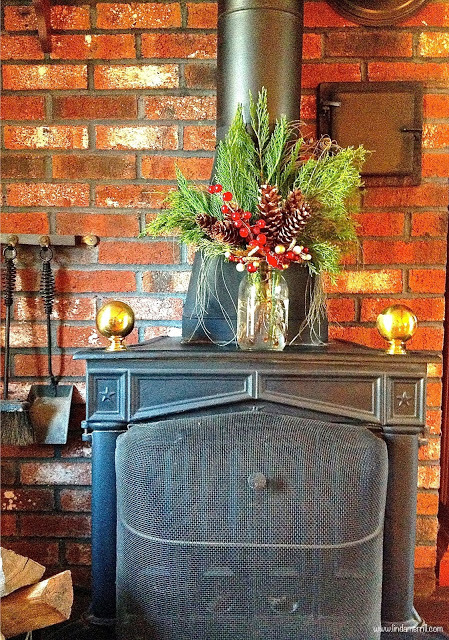 Thankfully, we had a big fireplace and a gas stove which could be lit with a match. And the telephones still worked (ah, landlines!) so when I went stir-crazy I could hide out upstairs (it was 40) to call friends and check in. We also spent a lot of time gathering sticks and kindling from the woods – it all felt so very “Little House on the Prairie”. 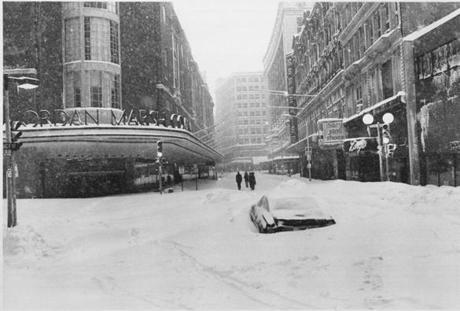 So, we’re all preparing for the coming storm – apparently upwards of two feet. I’m trying to get a bunch of design work done in the event of an extended power failure, plus battening down the hatches. And buying my bread and milk. The fireplace is a little smaller than the one that got my family through the Blizzard of ’78, but it will have to do! Thinking warm thoughts! If you are in the path of the storm, I wish you warmth of hearth and home!